After much back and forth discussion, it became clear where our focus needed to be. The team provided valuable input on the difference between designing a concept on a desktop 3,000 miles away, and designing while the end user, a 2 lb. baby, is in the next room. 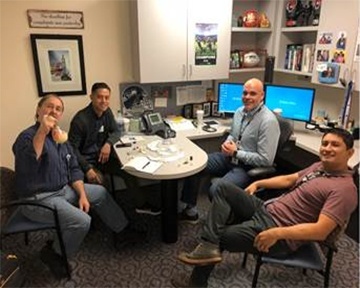 Through engaging in a usability focus group and examining methods of endotracheal tube securement, I was able to collect valuable feedback as well as several concept ideas. This was extremely valuable information to me to aid in designing a product that will make significant improvements to current methods of ET tube securement. Overall, it was very positive and was a big step in the right direction of creating a product that will help make a difference in the health of these tiny lives. I appreciate the opportunity to get this hands-on input and feedback so my design work at Zewski, and for our clients, can be as impactful as possible.